We are extremely excited and incredibly honoured to announce the arrival of our newest import and new addition to Team ITACOR, Sire Corso Imperium "Merlin". Thank you to Dejan Zivic of Serbia for allowing us the opportunity in showcasing his exceptional boy. Image taken here in Australia with Team ITACOR he is a solid, well constructed and balanced male with his brilliant bloodlines and ITACOR'S existing bloodlines, the gene pool and our future breeding program at ITACOR looks exceptional with much anticipation for future offspring. "Merlin" is proud offspring from pedigree below. 2014 welcomes "Merlin" into our extended family of Cane Corso at Team ITACOR! 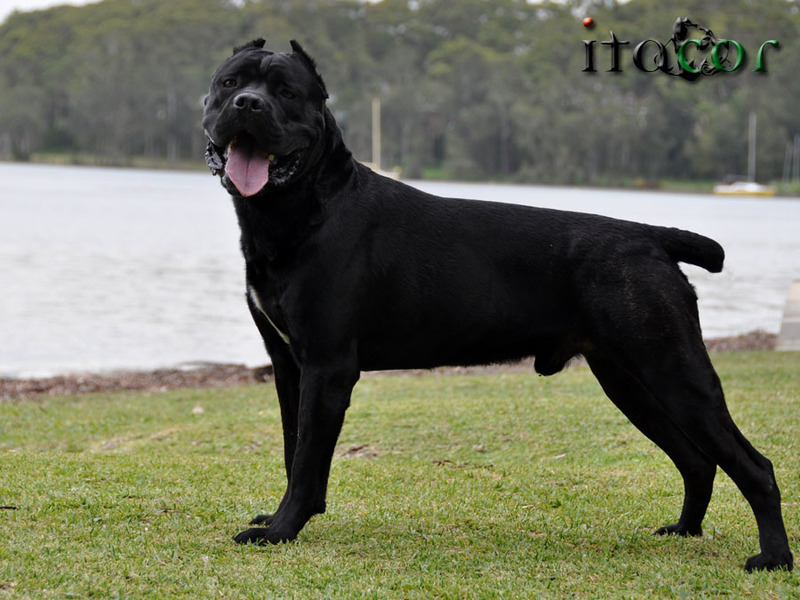 ITACOR kennels in Sydney Australia, continues to excel in quality Cane Corso, the breed has extended internationally becoming a world wide recognised breed with many countries globally breeding quality Corso. In 2000 ITACOR'S foundations in our breeding program imported some of the worlds most outstanding Corso bloodlines from Italy, we are proud they have made ITACOR kennels standout as a sort after breeding, training, exhibition kennel globally today. 2014 has seen a new country breed this unique majestic breed to a very high standard, ITACOR is pleased to have imported "Merlin" and future Sires and Dams from Serbia and other European countries in the very near future. Our relationships with the gene pool world wide continues to grow strong. Our strong and solid relationships globally have allowed us the exposure to some exceptional breeding kennels, we continue to build a reputation with our Asian Corso enthusiasts and pleased to say ITACOR bloodline has commenced its foundations in Hong Kong, Singapore and Japan in the last three months. We thank you all for your ongoing support and trust in ITACOR.